Okeh Records announces its first release from singer, trumpeter, and songwriter Bria Skonberg. With a unique fusion of modern-day pop sensibility, combined with sizzling musicianship, Skonberg makes a firm claim on fresh territory in the sophisticated pop landscape pioneered by Harry Connick Jr., Diana Krall, and Michael Bublé. Titled Bria, the album features standards plus five original songs and is available September 23. Skonberg aimed for "a sense of allure" on her new album, "music that is both curious and exotic, playing with tension and storytelling." She credits producer Matt Pierson with helping her tie together the best aspects of the music she’s been exploring, in a quest "to fuse my love of classic jazz with worldly rhythm, percussion, contemporary songwriting, and more." Bria is supported by some of the top musicians on the New York scene: Evan Arntzen on sax and clarinet, drummer Ali Jackson, bassist Reginald Veal, vibraphonist Stefon Harris, and pianist Aaron Diehl. They provide Bria with an unfailing blend of organically imagined eclecticism. 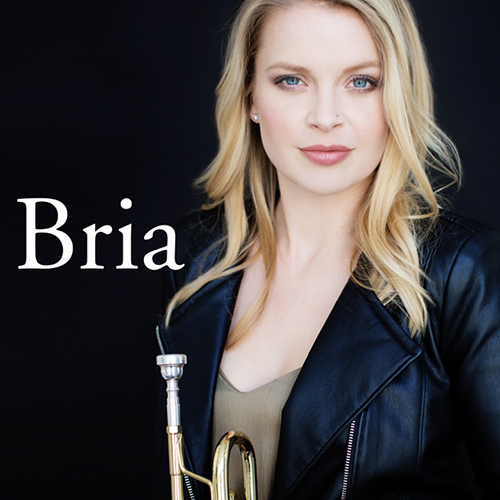 Noted as a Millennial “Shaking Up the Jazz World,” according to Vanity Fair, Bria Skonberg is a self-described “small town girl” from Chilliwack, British Columbia, who hightailed it to Vancouver straight out of high school and earned a degree in Jazz Trumpet Performance. She developed her songwriting chops while working with TV/jingle producer Paul Airey, known for his work with the likes of Warner Bros. studios and the National Hockey League. Skonberg is an established touring artist with numerous club and festival performances scheduled throughout 2016. In addition, in an upcoming issue of Down Beat magazine, she’s recognized as one of “25 for the Future.” All in all, it’s an impressive present and even more promising future for this welcome new voice. Check here for more dates announced soon.